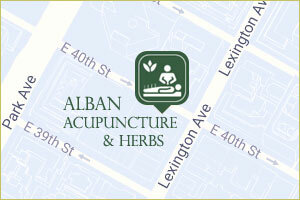 We at Alban Acupuncture strive to provide the best acupuncture and Chinese medicine care for those with allergies, asthma, sinus infections, and other respiratory conditions. 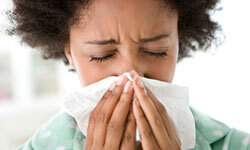 During allergy season and cold and flus season, our office is filled with patients coming in to treat and prevent these conditions from hindering their lives. We use a personalized approach for each patient, combining of acupuncture, acupressure, Chinese herbs, cupping, and essential oils. How Does Acupuncture Work for Respiratory Health? Acupuncture and Chinese medicine work by correcting imbalances in the body. Once the imbalance is corrected you feel better and healthier and can see long term improvements in your health. Acupuncture treatment works by resetting the immune system, decreasing inflammation, and reducing the allergic response. The therapy may include customized acupuncture, acupressure, Chinese herbal medicine, and essential oils. Acupuncture focuses on addressing the root imbalance of an issue through customized treatment. During the initial visit, we will ask questions not only about your main health concern, but also your overall health. This provides us with information to get a holistic idea of your concerns. The acupuncture therapy is customized to each person’s needs in order boost immunity, reducing inflammation and allergic responses, and increasing circulation. Acupuncture points such as Stomach 36 on the legs and Lung 7 on the arms can boost the energy in the body. Kidney 3, near the ankle, is also very effective for boosting energy. Chinese herbs have long been used to treat respiratory conditions. Chinese herbs are given as formulas, that is a combination of many different herbs combined which are taken as strong teas or decoctions. The combination helps to create a synergy. Herbs correctly combined together are more powerful than single herbs. They also work together to reduce side effects. One formula that is often used to prevent colds and asthma is called Jade Wind Screen, or in Yu Ping Feng San in Chinese. This simple formula is good for boosting qi which protects the body from getting a cold. It has huang qi (astragalus), bai zhu (atractylodes), and fang feng (siler). Huang qi and bai zhu boost qi, while a small amount fang feng works to attack germs which you may come in contact with. Can Cupping Help with Colds, Asthma, and Bronchitis? Chinese cupping is a technique which glass or plastic cups create a suction on the skin. This helps to increase the circulation at that area and opens up to the lungs to help expel congestion. It has been used with many different type of respiratory conditions including asthma, bronchitis, and even the common cold. Cupping is often used in conjunction with acupuncture and other techniques. Cupping is also very relaxing.